And generally, I’d say that is usually the case. No, the only thing that will have you roaring in disbelief here is how incredibly easy this recipe is. ‘Cause that’s right, not only is this an absolutely delicious dessert, but it’s got a secret, healthifying ingredient that bumps up the nutrition without sacrificing taste. Remember that coupon-fueled grocery shopping trip I did a couple of weeks ago? 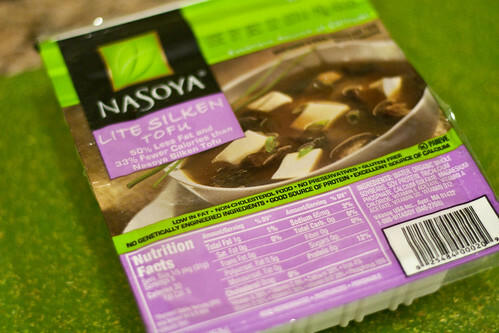 Well, I came home with three packages of Nasoya tofu courtesy of the company, and I finally got the chance to use one of them up! Some of you may be no stranger to using silken tofu in desserts, but this was a first for me. As you can see, I’m incredibly pleased with the result! I promise you cannot taste the tofu at all (and my roommate verified!) and instead, you’ll be amazed at the incredible texture it provides. 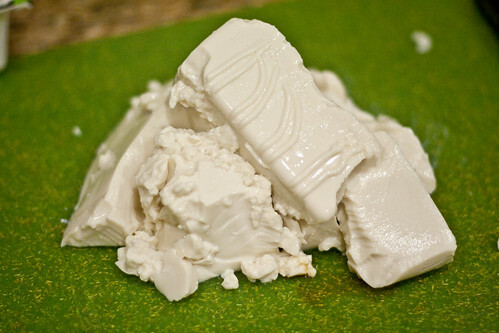 Outside of my mom’s amazing Chinese cooking, I don’t see silken tofu used in dishes very often. It doesn’t taste like much of anything on its own, but soaks up flavors like a sponge and has a consistency that I would liken to flan. And the best part? 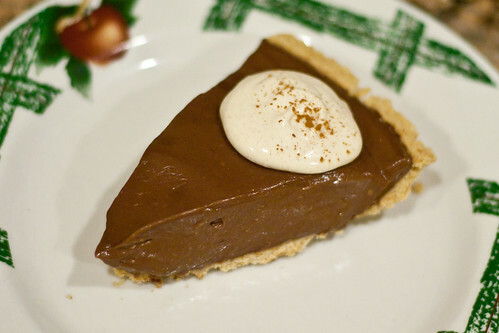 By using lite silken tofu you’re keeping calories fairly reasonable for a piece of chocolate pie. I mean, don’t get me wrong. 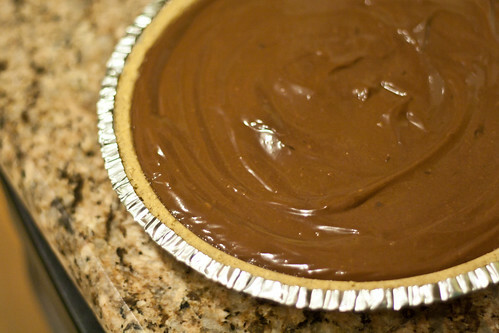 It’s still chocolate, and it’s still pie, and since I don’t have magical powers, it still has some weight to it. But for a holiday dinner or special occasion? Heck yes! Pull this puppy out at your next dinner party and surprise your guests with the secret ingredient after they’ve downed their first slice. In fact, I would bet money that they’ll be clamoring for seconds anyway! Easy? Check. Delicious? Check. 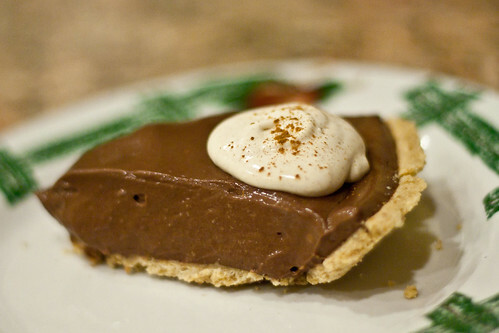 Healthier than your average bear pie? Check! 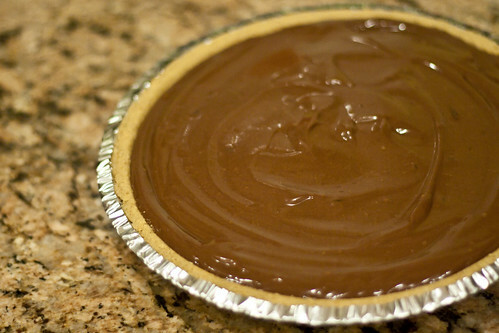 This creamy dreamy chocolate pie will have your dinner guests in disbelief when you admit to the secret ingredient. Looking to save even more calories? Skip the crust and serve it custard-style in individual ramekins! 1. 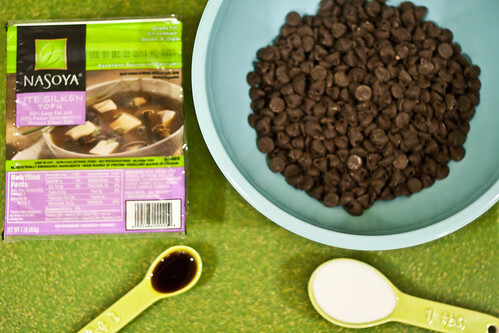 Combine chocolate chips, vanilla extract, and water in a heat-safe bowl. 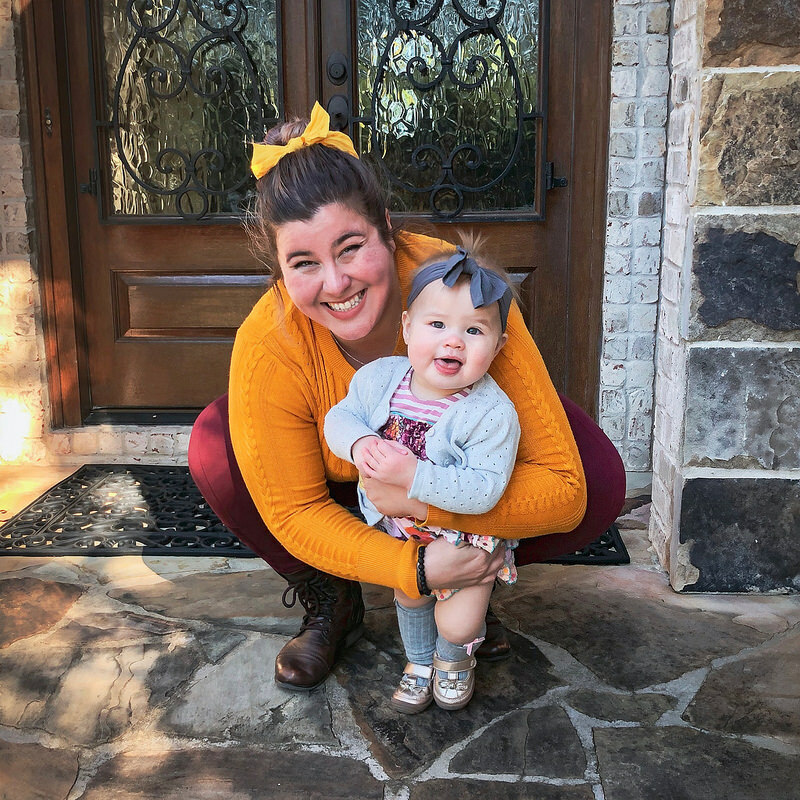 Melt together using a double-boiler (resting the bowl over a pot of simmering water on the stove) or in small batches in the microwave (10 seconds at a time), stirring frequently. 2. 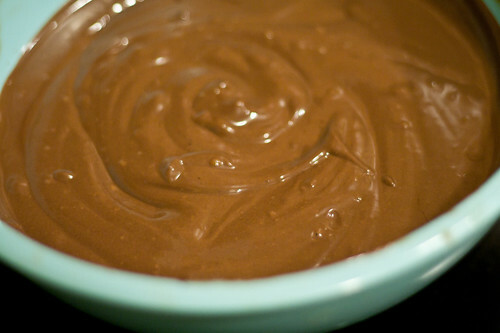 When chocolate is melted and smooth, remove from heat and add tofu and sugar, if using. Blend until smooth in a blender, food processor, or with an immersion blender. 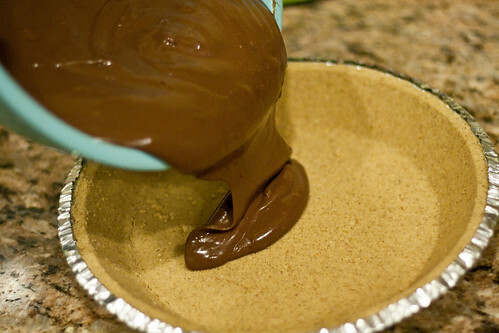 Pour into pie crust and refrigerate. 3. Refrigerate for 1 – 2 hours (the longer it sits, the firmer it will get), and serve solo or with homemade cinnamon whipped cream! Nutritional info per slice: 382 calories, 20 g fat, 47 g carbs (3 g fiber), 8 g protein. Omg omg. 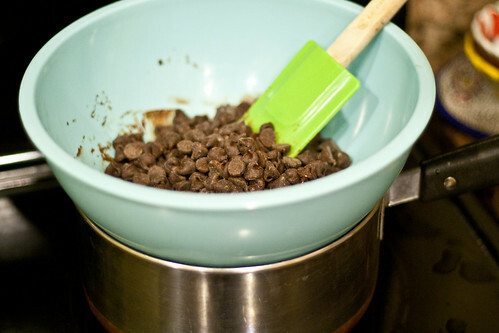 I just so happen to have a bag of semi-sweet chocolate chips on hand as well as some heavy whipping cream! I just need crust. And tofu. While I can’t help but be a bit skeptical when I hear vegan and tofu used in a dessert context, I’m holding out hope that it is as delicious as you say! 🙂 Thanks! So, I made it. And it’s delicious. And I’m bringing it to work. To trick those non-tofu eating former marines. Muahaha. You have now fueled my desire to leave work and bake – or not bake, in this case (which makes 3 days this week I’ve wanted to fake sick just so I could go bake something). This looks absolutely delicious! Hahahahahaha, I know the feeling. I have plans for so many other actually-baked goods… I’m gonna get sooooo fat this Christmas, bahaha. Just the Trader Joe’s chocolate chips, which I think are “accidentally” vegan, hahaha. 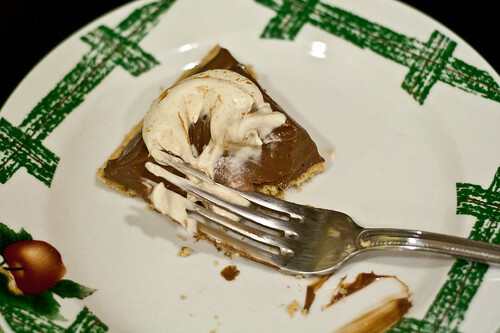 What an excellent idea for a desert recipe for a family that is trying to watch their caloric intake during the holidays. This looks really good Gretchen! I’m not a tofu person, but I would definitely be willing to try this. Though I have to admit, once I started reading it, I couldn’t get that scene from The Help out of my head! haha Have you seen it/read it? Last year, we had this “secret food” contest at work where everyone had to make a food that had a secret ingredient in it and I made the original Alton Brown recipe. No one guessed that it had tofu in it. It really is impossible to tell! Can’t wait to try this one on the hubby and kids! i love that there is 8 grams of protein per slice from the tofu! Pie looks AWEsome!! Can’t wait to make it myself! Your photography is awesome! 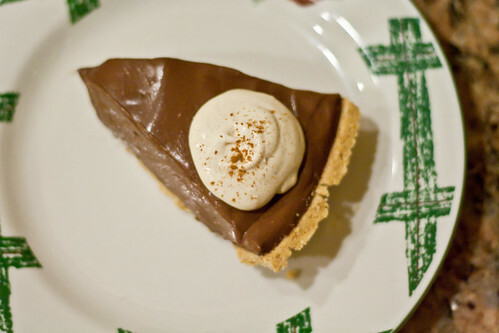 Everything looks so delicious, I feel like I can almost taste the pie in all it’s chocolatey goodness. Yum! Love the recipes! Thanks! Made this for thanksgiving and it was soooo good! Everyone loved it.Thanks for the recipe!! !